Ghetto of World War II by WikiImages. CC0 Public Domain via Pixabay. But it would be a mistake to focus on these short-term implications of Spicer’s statements without understanding the broader harms they could engender. The history of speech and atrocity reveals that the most effective persecution campaigns can begin with relatively ordinary words with more subtle negative connotations. On their own, and in the abstract, they seem innocent enough. But in the larger context, they anesthetize the majority individual to the idea that the minority is an alien “other,” as opposed to a fellow citizen. And combined with other words and actions, they can eventually lead to tragic ends. For example, before ultimately falling victim to genocidal violence in Rwanda, Tutsis were at first chided by extremist Hutus for their alleged Ethiopian origins or their supposed accumulation of great wealth. But as Rwanda inexorably ramped up for genocide, such rhetoric intensified, with Tutsis eventually reduced to the vile caricature of “cockroaches” bent on liquidating the Hutus. This is not to say that Spicer’s comments augur violence of such a scale. But it is important to remember that they are part of a larger, disturbing trend. 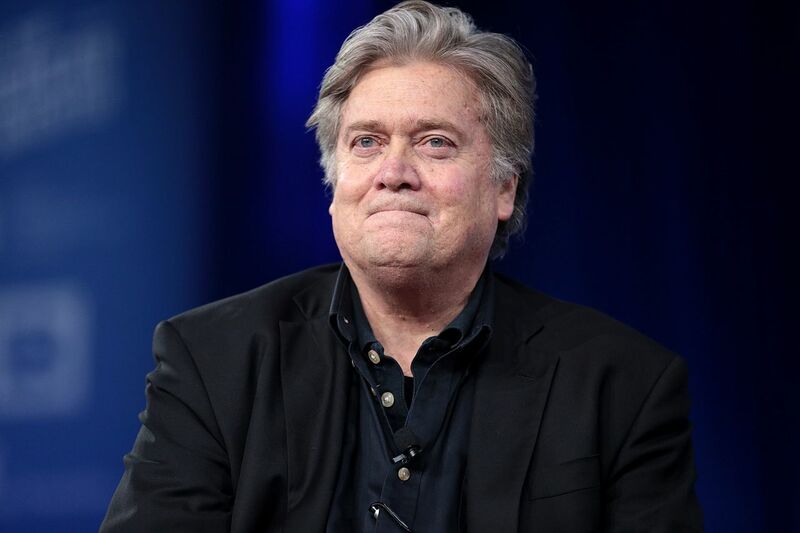 One of Trump’s key advisers is Steve Bannon, “whose Breitbart news is a wellspring of bigotry and propaganda.” During his campaign, in bashing Hillary Clinton, Trump tweeted the image of a Star of David over a pile of money, which allegedly emerged from a neo-Nazi message board. 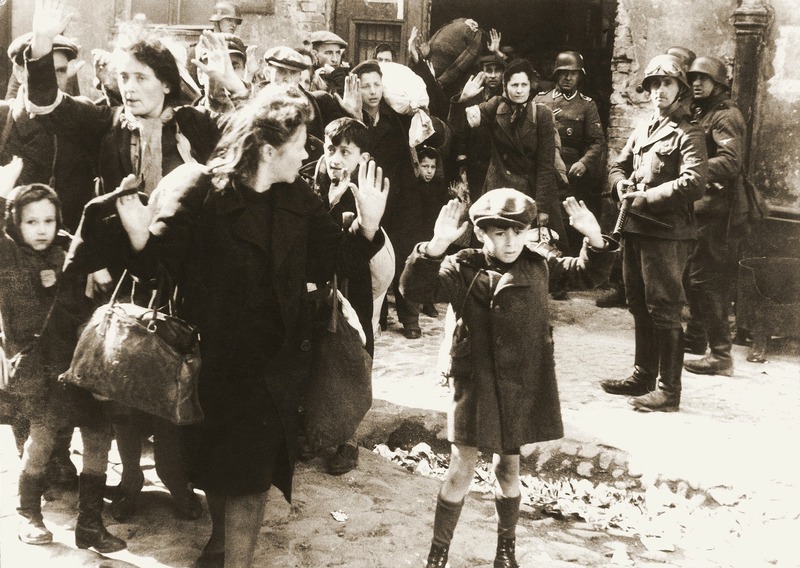 In January, the White House omitted reference to the Jewish victims of the Holocaust in a statement to commemorate International Holocaust Remembrance Day. And this is all in the context of a rising tide of anti-Semitism and hate crimes against Jews in the U.S. and around the world. In this sense, Spicer’s oafish Holocaust denial could be part of a larger, emerging mosaic of anti-Semitism. Steve Bannon by Gage Skidmore. CCO Public Domain via Wikimedia Commons. 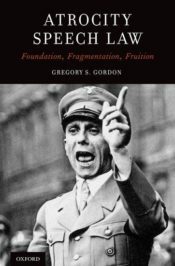 As conditions deteriorate, when anchored to more direct calls for violence, Holocaust denial can morph into a technique for incitement to genocide. And in the context of a widespread or systematic attack against a civilian population, it can be part of the conduct element of persecution as a crime against humanity. Genocide denial is not merely an ugly reminder of a bloody past but should also be treated as a potential harbinger of a violent future. We are not anywhere close to that stage now, but we have been given notice and we ignore the larger context at our own peril. Featured image credit: Sean Spicer, by Gage Skidmore. CC-BY-SA-2.0 via Wikimedia Commons. Gregory S. Gordon is Associate Dean for Development/External Affairs, and Director of the Research Postgraduates Program at The Chinese University of Hong Kong Faculty of Law. A prolific expert on international criminal law, he has published in the Virginia Journal of International Law, Columbia Journal of Transnational Law, Journal of Criminal Law and Criminology, Ohio State Law Journal, and Oregon Law Review, among others. newbies. May just you please lengthen them a little from next time?